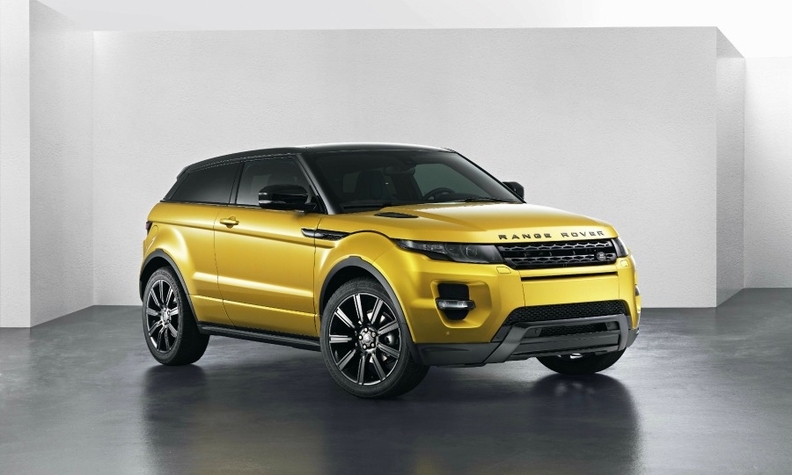 The recall includes the Range Rover Evoque. LONDON -- Jaguar Land Rover has downplayed claims that a recall to correct false CO2 figures achieved in certification testing, that affects tens of thousands of mainly diesel models, will affect the drivability of the cars or actually increase other emissions. JLR has so far said the recall will affected 44,389 models in its home market of the UK. The recall will spread to Europe, the automaker said, but did not give a figure for the number of cars affected. The UK figure includes 34,736 2.0-liter diesel versions of the Range Rover Evoque, Jaguar XE and Jaguar XF sold between 2016-2018. The remaining 9,653 cars are 2.0-liter gasoline versions of the Land Rover Discovery, Discovery Sport, Range Rover Sport, Range Rover Velar, Range Rover Evoque, Jaguar E-Pace, F-Pace, XE, XF and F-type. The JLR cars were discovered to be emitting more CO2 in laboratory conditions using the older NEDC cycle tests than recorded by the automaker. JLR said it spotted the discrepancy itself, although this was disputed by the UK vehicle standards body, the DVSA, who said it was picked up by the UK’s Vehicle Certification Agency (VCA), which is tasked with overseeing the results. JLR said it did not use cheat software to achieve the results. It claims the cars are on average emitting around two percent more CO2 than the officially recorded figure. JLR has made it clear to owners that the recall will not affect power outputs and has released information about what side-effects to expect. On gasoline cars, the stop-start function might operate at lower engine temperatures. Diesel cars could get noisier on cold-starts and could idle at lower revs at junctions. JLR also said owners of diesel cars could see higher consumption of the AdBlue urea additive that reduces exhaust NOx levels. JLR said that “all of the changes have been reviewed and agreed with the VCA,” meaning the certification agency is happy the cars will return to the agreed certification figures. The side-effects admitted by JLR are likely to mean the recall will impact the owner experience for those cars affected, Greg Archer, UK director for pressure group Transport & Environment, said. He said that T&E engineers concluded that stop-start operating at lower temperatures for gasoline cars could lead to a delay in the catalyst getting up to temperature after a cold start. “That could have a knock-on effect on NOx and emissions,” Archer said. Lowering the idle speed on diesels is likely to be a simple fix to drop the fuel consumption by a few grams, but that could affect drivability of the car. “Manufacturers don’t like their car to idle at excessive revs, because it raises CO2, but there is a limit to how far you can bring them down. Too low and the car starts to sound rough and it affects drivability,” Archer said. Archer said the rise in AdBlue consumption is likely to be related to the fact that JLR will reduce the amount of exhaust returning into the cylinder via the exhaust gas recirculation (EGR) valve, which helps limit NOx but also increases fuel consumption. The reduced effectiveness of the EGR to reduce NOx. means the car’s SCR filter has to work harder and will consume more AdBlue. JLR declined to offer an explanation as to why the cars will use more AdBlue. JLR’s recall highlights the shortcomings of the outgoing NEDC tests, which organizations such as T&E have long criticized for being too easy to game. NEDC tests were replaced September by the WLTP standard that aims to make the tests more reflective of real-world use. A 2014 report from the International Council on Clean Transportation (ICCT) showed that the gap between NEDC laboratory figures and those achieved in independent real-world tests soared from 8 percent to 31 percent between 2001 and 2013. In 2015, a test carried about by Germany’s Ministry of Transport following the discovery of Volkswagen Group’s NOx cheating, also revealed many cars from a variety of automakers were emitting far more CO2 in lab conditions than they were officially rated as producing. Leaked results published by Der Spiegel showed the lab tests conducted on cars without the knowledge of the automaker were producing up to 36 percent more CO2. The exposure of JLR’s higher CO2 emissions and the subsequent recall orchestrated by the UK’s VCA test authority shows that countries are taking testing discrepancies much more seriously, Archer said. “Since dieselgate there have been more check tests by type approval authorities to check it’s in line with official results,” he told Automotive News Europe. JLR’s move to return the cars to their official recorded figures means the company is expected to avoid fines or lawsuits related to the fact that customers were sold cars that emitted more fuel than advertised, and that governments were missing out on higher tax income because the higher CO2 moved the cars into higher tax thresholds. “It would be much easier to change the CO2 value, but if they would admit the original CO2 figures were wrong then drivers could claim compensation for that,” Archer said.